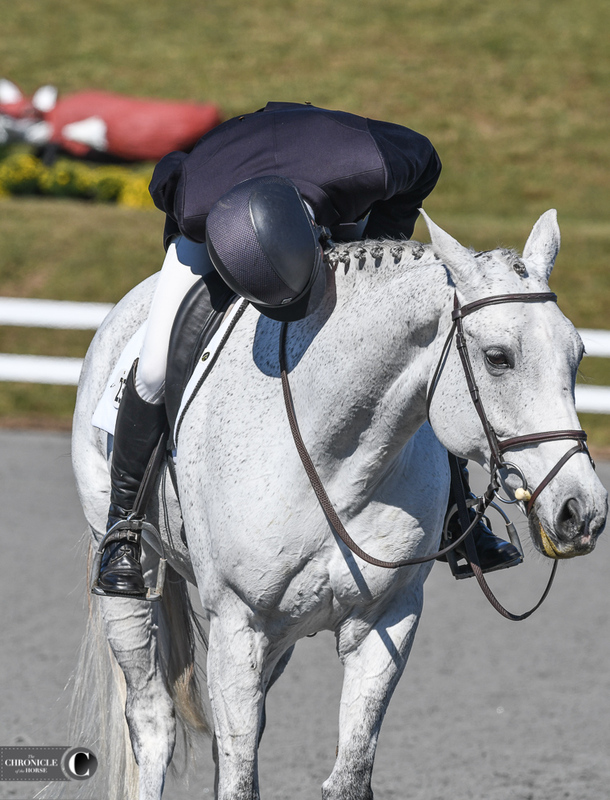 His list of quirks may be a mile long, but Almanac has something special that makes Bobby Meyerhoff continue to put his foot in the stirrup, albeit carefully, every day. 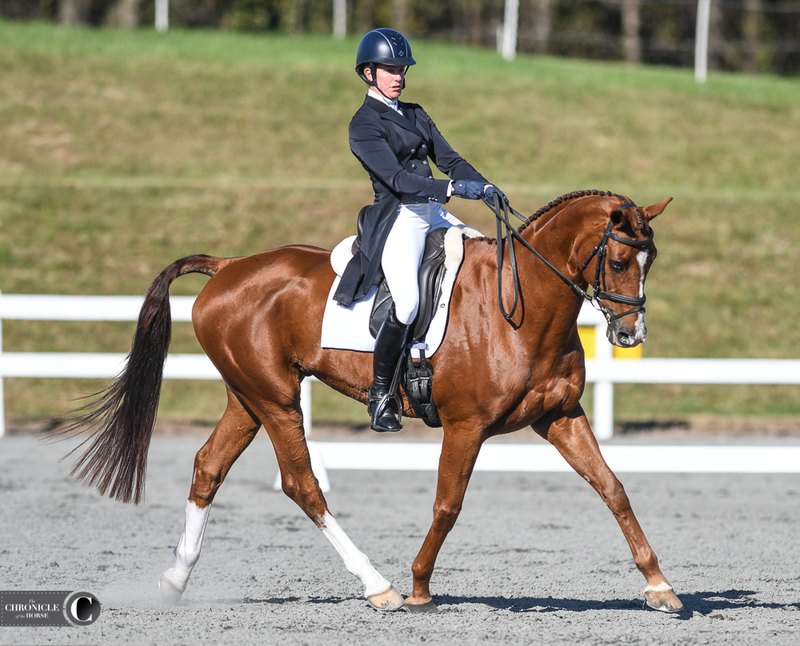 Meyerhoff acquired the 9-year-old Hanoverian gelding (As Di Volare—Fuerst Aphrodites R, Fuerst Gothard) from his breeder and co-owner Gail Dady about 2 ½ years ago. He was bred to be a show jumper, but when that didn’t pan out, Meyerhoff took him as a sales horse. 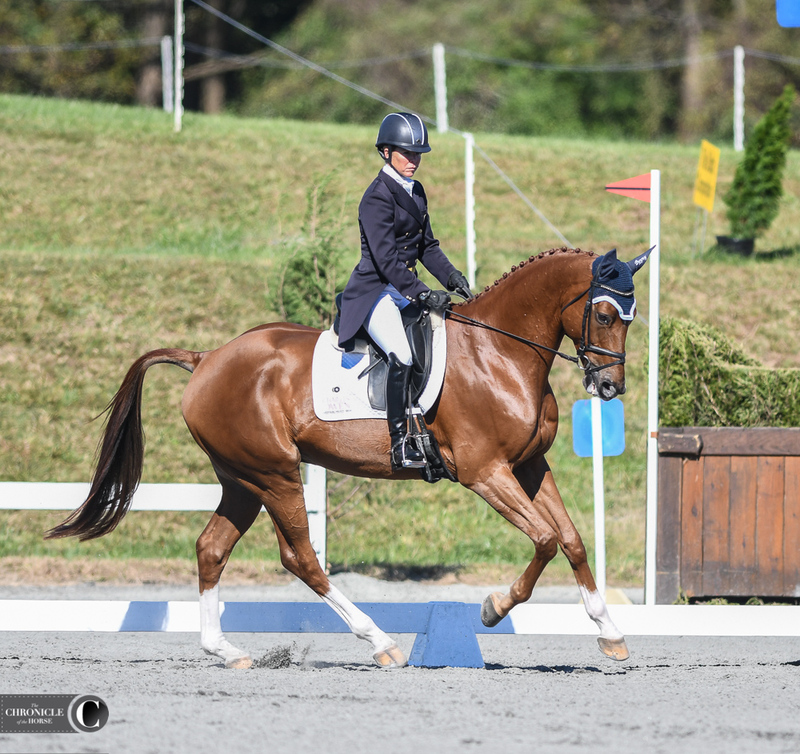 Once his quirks became apparent, however, Meyerhoff knew he would be a tough sell and decided to try eventing him, and they’ve become partners. Bobby Meyerhoff and Almanac. Photo by Shannon Brinkman Photography. To start with, mounting was a major issue. It required two people holding “Maniac,” who Meyerhoff says lives up to his barn name. Dressage and show jumping warm-up present another problem for Maniac, who tends to get nervous with horses coming at him. Meyerhoff stayed out of the main warm-up area today before his test and was able to take what he had into the ring. 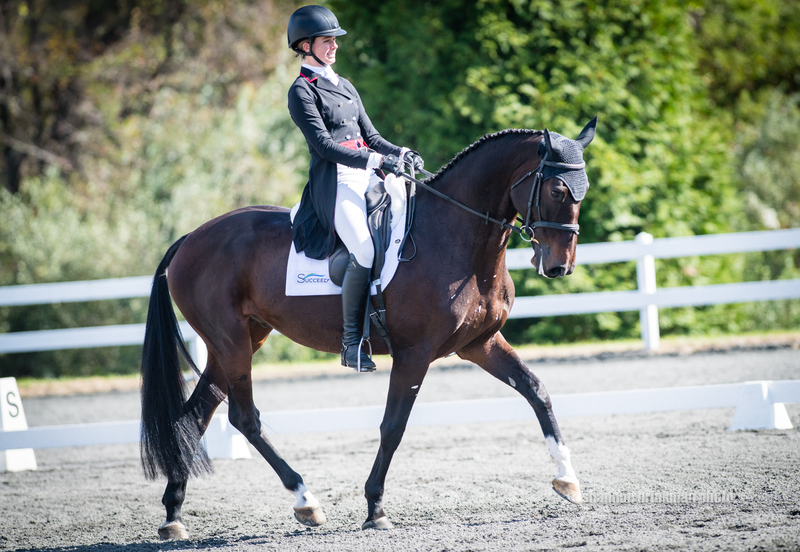 Caroline Martin and Cristano Z scored a 26.4 for second place. Photo by Shannon Brinkman Photography. 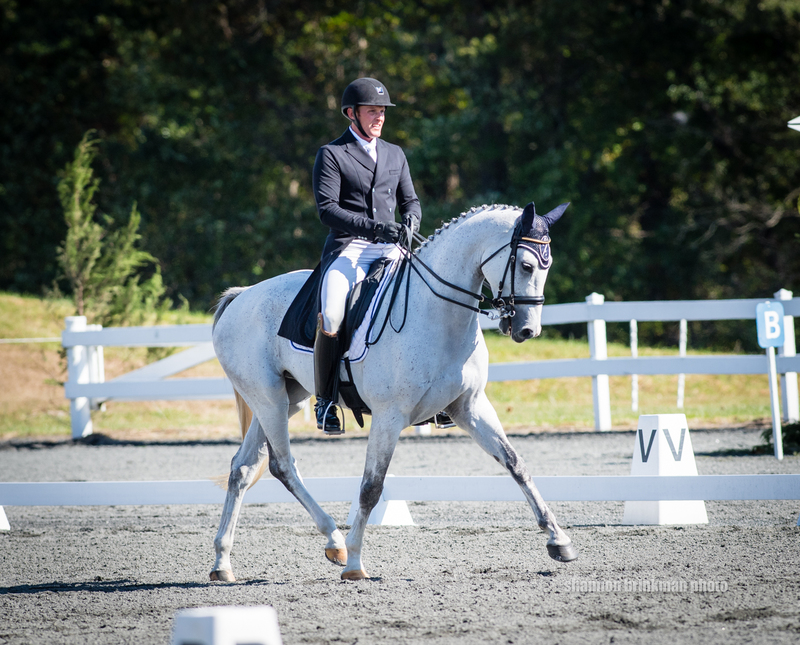 Despite his quirks, the pair finished fourth at the Jersey Fresh International CCI** (New Jersey) this spring, and Meyerhoff is looking forward to Derek di Grazia’s cross-country course on Saturday. 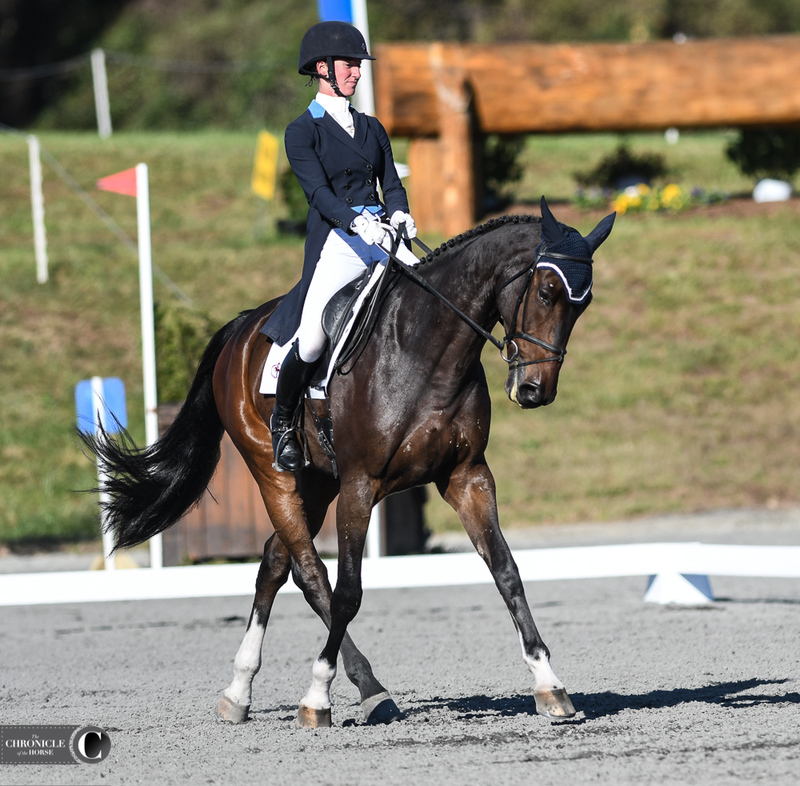 Jenny Caras and Trendy Fernhill are third with a 26.6. Photo by Lindsay Berreth. Jan Byyny and Volcan De Caverie slotted into fifth place with a 28.7. Photo by Lindsay Berreth. 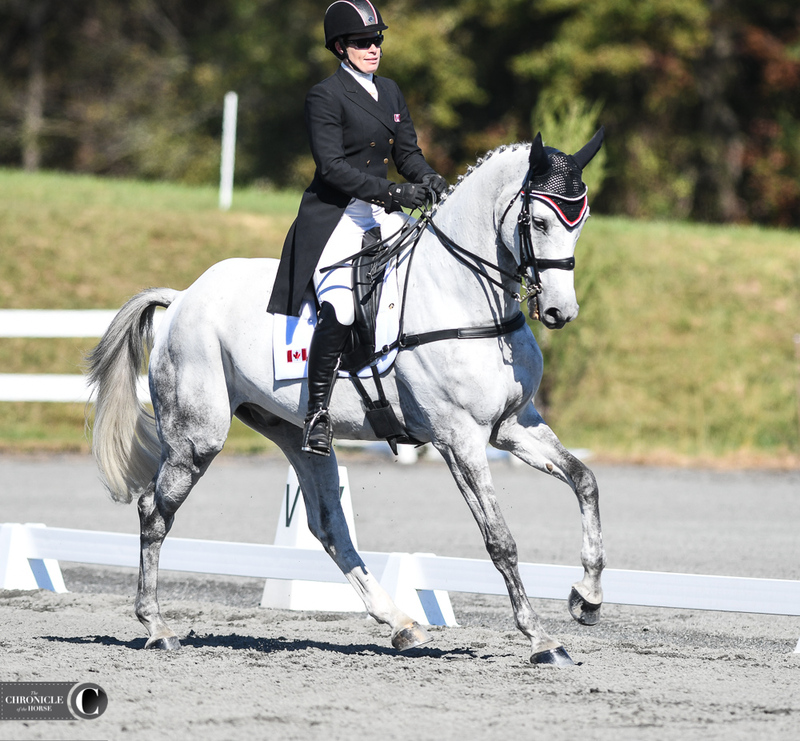 Lisa Marie Fergusson and LandLunar are in a tie for sixth on 29.6. Photo by Lindsay Berreth. 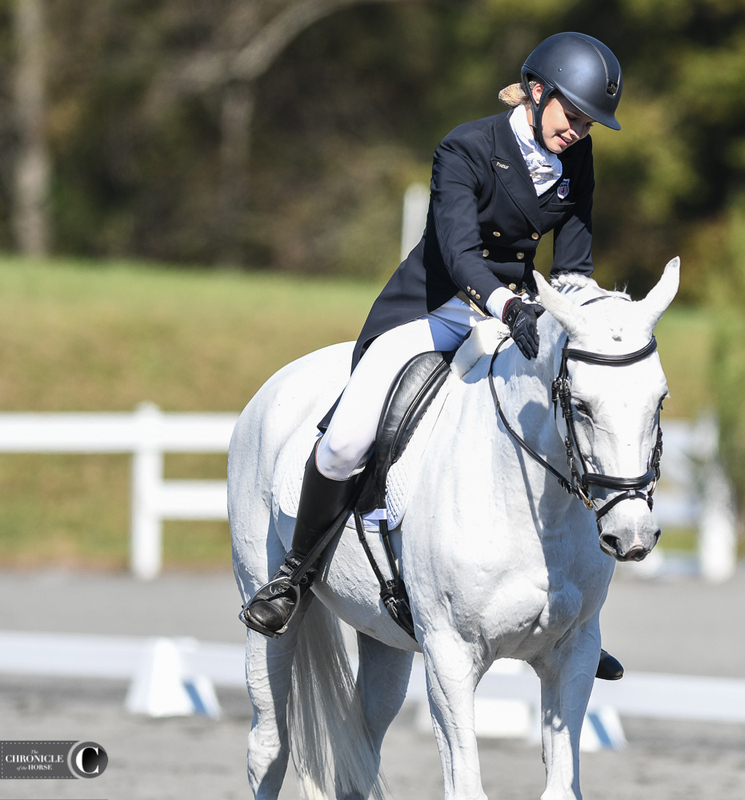 Sydney Conley Elliott and QC Diamantaire are in a tie for sixth on 29.6. Photo by Lindsay Berreth. 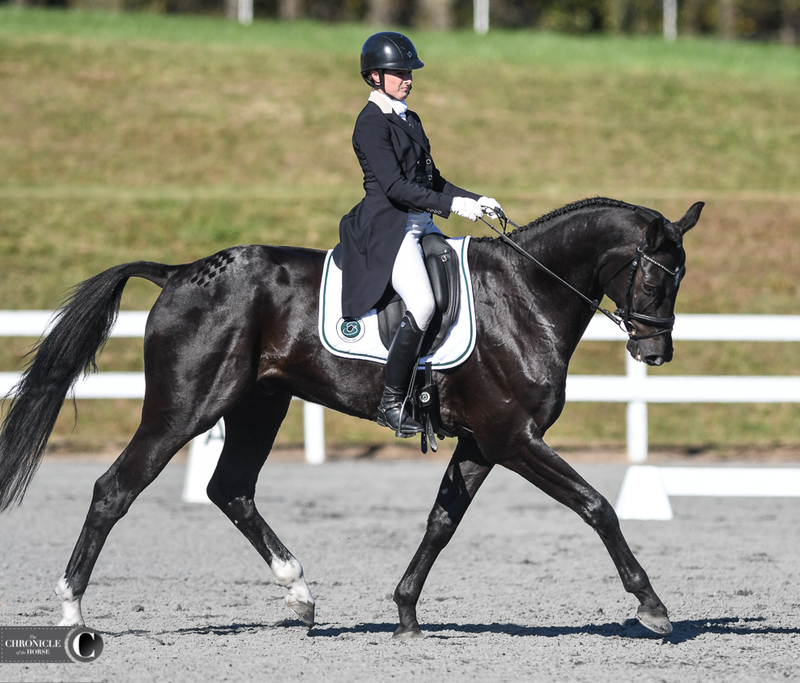 Kim Cecere and Landmark’s Monaco scored a 29.8 for eighth place. Photo by Lindsay Berreth. Cassidy Snyder rode the diminutive Flagmount’s Celtic Rose. Photo by Lindsay Berreth. Allie Knowles and Business Class scored a 29.9 for 10th place. Photo by Lindsay Berreth.